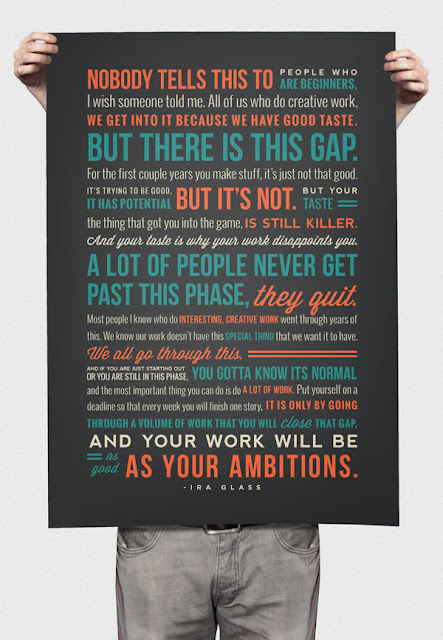 This Ira Glass quote has gone to the end of the internet and back several times now, but I still love it. I guess a lot of people relate to the feeling of our work not having that "special thing" we want it to have. To know that this is something we can get through with lots of hard work is both encouraging and motivating.